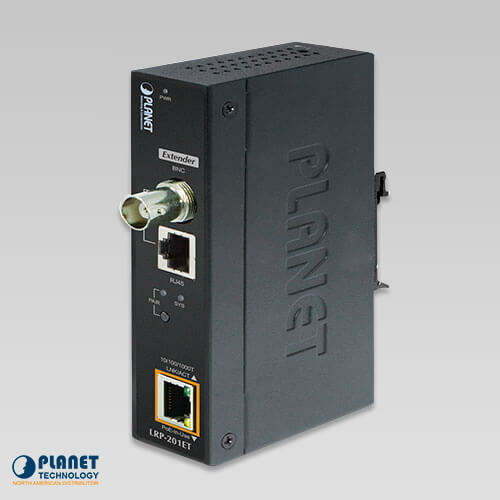 The LRP-201-KIT is an Industrial Single-port Ultra PoE over Coaxial/UTP Extender Kit featuring long range data and power transmission over any existing coaxial, UTP cable or telephone wire for distance up to 600 meters (1,968ft.) and converts power to IEEE 802.3at/bt PoE over another 100-meter Ethernet cable connected to the remote PoE PD. 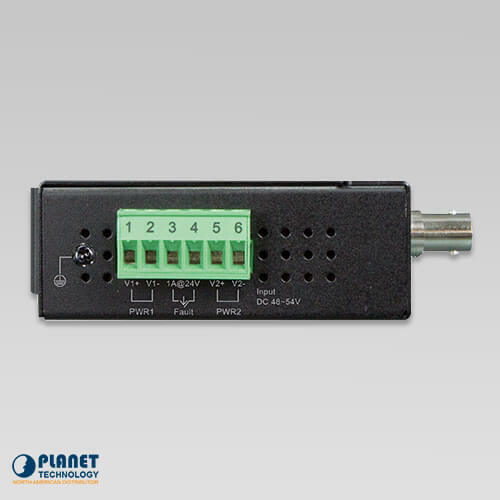 The LRP-201-KIT provides easy plug-n-play operation and deployment in climatically demanding environments with wide temperature range from -20 to 70°C. 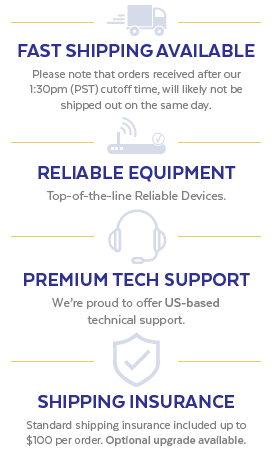 It makes the installation of remote PoE PDs easier and more efficiently. 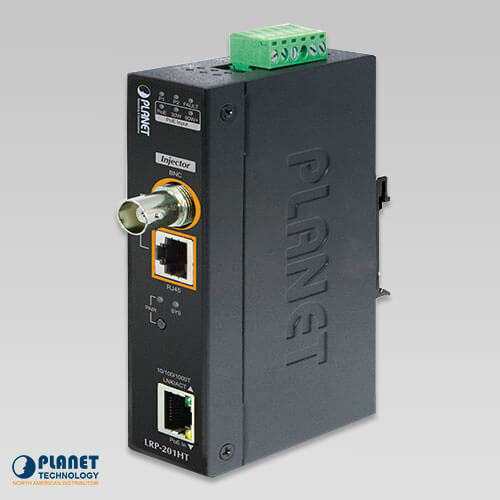 The LRP-201HT can not only support dual power input (by DC adapter/PoE) but also transmit data and power over coaxial/UTP cable to the LRP-201ET, which can be located as far as 600m away. It will then deliver the data and power output with a maximum of up to 60 watts to a PoE PD over additional 100 meter length Ethernet cable, thus expediting the IP surveillance network or wireless LAN infrastructure in long distance. 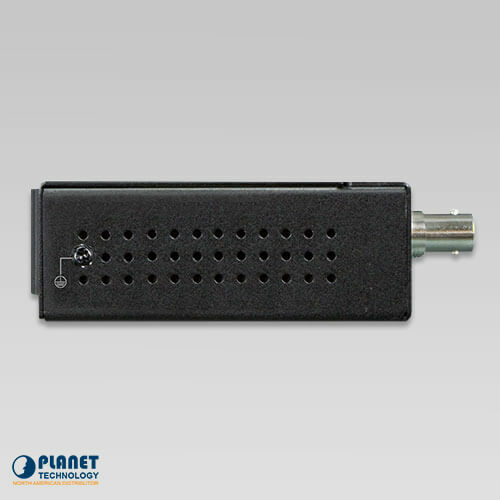 Both of the products come in a compact but rugged IP30 metal housing. 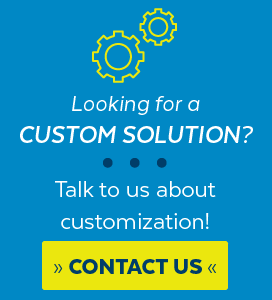 Their DIN-rail/wall-mounted design fits easily in any space-limited location. 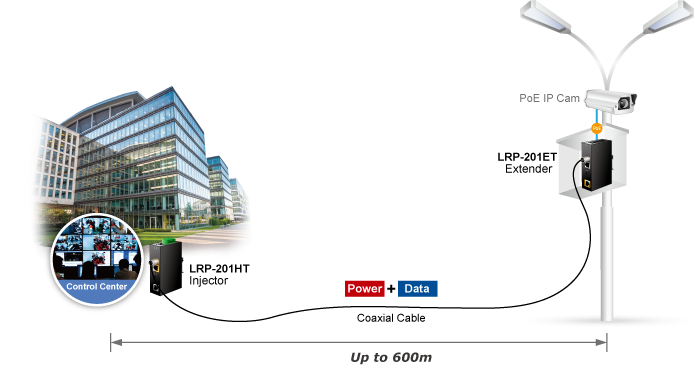 A normal UTP cable can only be extended up to 100 meters, but with the LRP-201-KIT, the distance for PoE networking can be extended up to 600 meters (1,968ft.) when functioning with the LRP-201-KIT over 75 ohm coaxial cable or up to 400 meters (1,312ft.) over UTP/telephone wire with stable, high-quality video transmission. 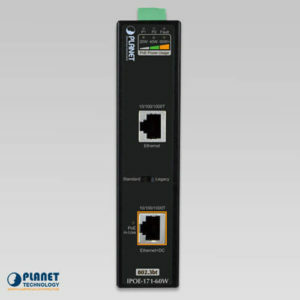 It eliminates the need for additional remote site power while allowing a single power source to provide power to both LRP extenders and the PoE PD at long range. 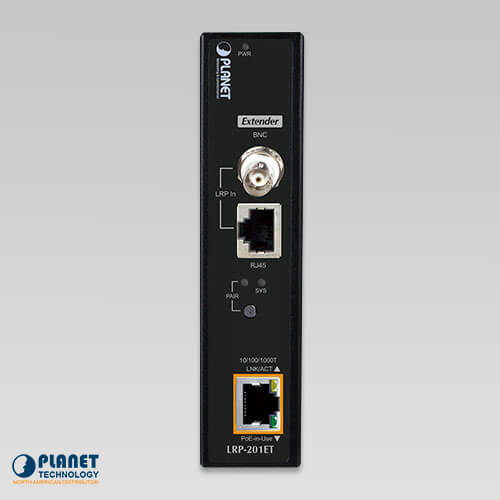 Simply by pressing the PAIR button on the LRP-201HT and LRP-201ET, users can easily set up a hassle-free, secure network within minutes. 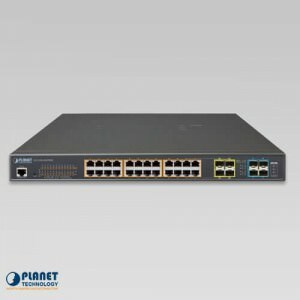 When the PAIR LED turns on, it provides 128-bit AES encryption for network security and data protection. The LRP-201HT provides dual-redundant, reversible polarity 48~54V DC power supply inputs for high availability applications. 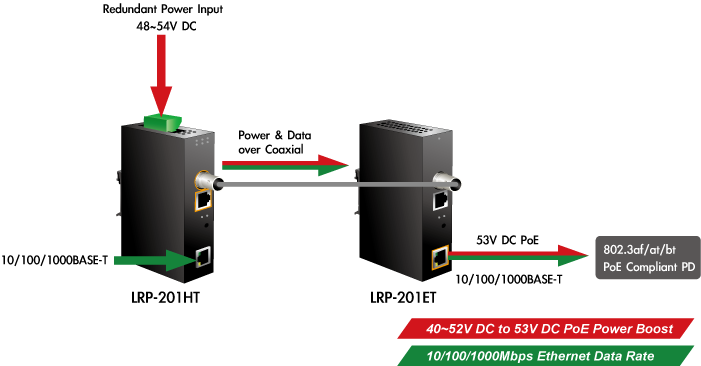 When the LRP-201HT transmits power over coaxial/UTP cable to the LRP-201ET, the LRP-201ET adopts power boost technology to solve voltage loss issue but does not require additional power supplies. 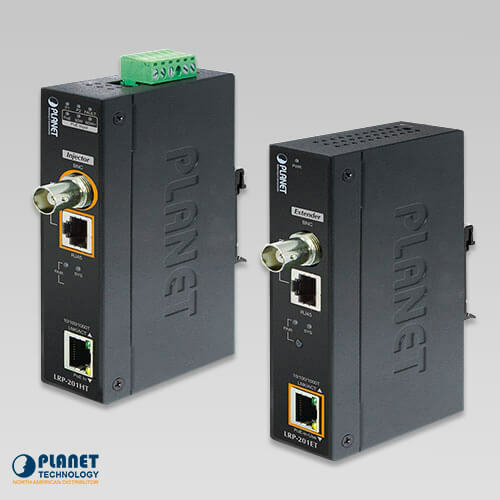 With the plug and play feature, PLANET Long Reach PoE Extender Kit can be used immediately without the need of configuration and is also compliant with all kinds of IP network protocols. Moreover, the rich diagnostic LEDs on the front panel show the operating status of the individual port and the whole system, enabling the administrator to efficiently manage the network. - RG-6/U cable, less than 12Ω/1000 ft.
- RG-59/U cable, less than 30Ω/1000 ft.
- RJ45 PoE Input: 802.3af/at/bt 48~54V DC, 2.5A max. - DC Input: 48~54V DC, 2.5A max. - BNC Power over Coaxial Input: 40~54V DC, 1.8A max. 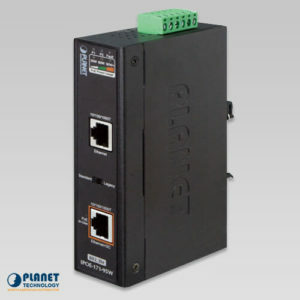 - RJ45 Power over Ethernet Input: 40~54V DC, 1.8A max. 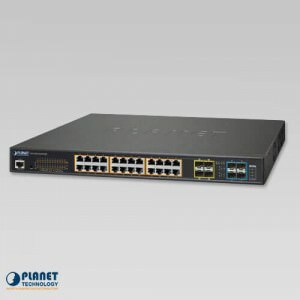 Note *1-1 Please do not connect any Ethernet device to LRP OUT Port of the LRP-201HT; otherwise, it will damage the Ethernet device. 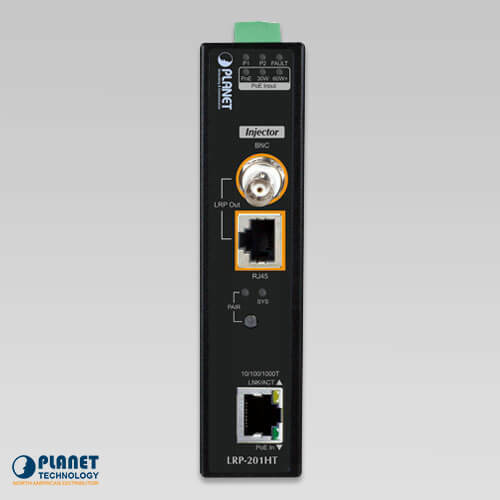 *1-2 Please do not connect any Ethernet device to LRP IN Port of the LRP-201ET; otherwise, it will damage the Ethernet device.